IT’S HERE!! 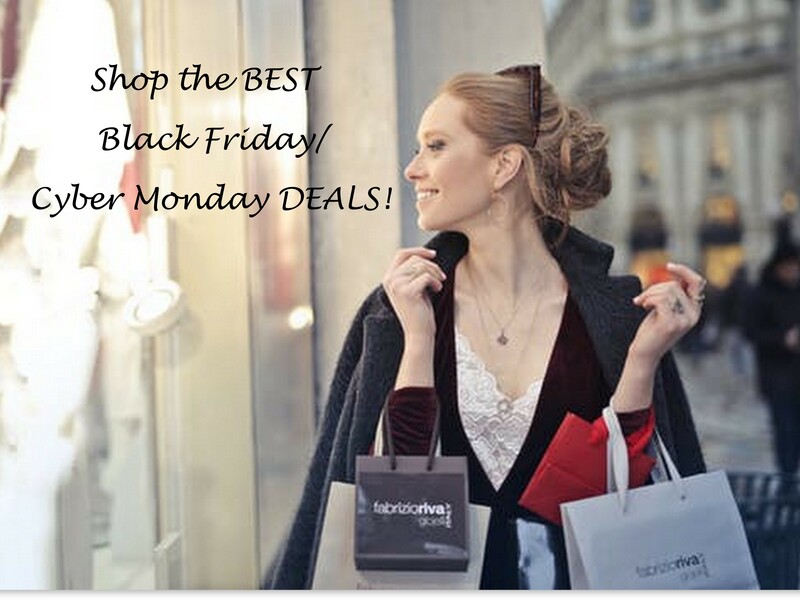 Are you as excited to shop some great deals for Black Friday and Cyber Monday as I am? I’ve sorted through all the Best Online Black Friday and Cyber Monday deals so you don’t have to! I’ve compiled the best fashion, beauty, and home deals, many of which would make great gifts too for anyone on your Holiday Shopping List! Click each link or banner to be taken to the sales going on this Black Friday and Cyber Monday! Cyber Week Deal – Get a Free F4 Powder Blush Brush with the Purchase of a Blush Remix Palette at Luscious Cosmetics! Use Code: FREEBRUSH Offer Good Nov. 27 – Dec. 5 Only! Shop Black Friday | Take 50% Off Black Styles With Code AFFILIATETHANKS50 at BB Dakota! Black Friday Sale 30% Off for Top Aromatherapy Jewelry, Memorial Jewelry & Cremation Jewelry. Nationwide Fast Free Shipping, Shop Anavia Jewelry! Website Domain from Blue Host 50% Off – Get a website for just $2.95 a mo! Sign Up HERE! Add anything from MAC Cosmetics (exclusions apply) totaling $10.00 or more to your cart and head to checkout. You must spend at least $10.00 to get this deal. Note: Transactions must contain at least $10.00 worth of purchases to ensure the $10.00 cash back is credited to TopCashback accounts. Transactions may initially track lower, but within the 14 days after purchase it will be uplifted and turn payable at the amount of $10.00. Transactions may take up to 7 days to appear in your TopCashback account. The deal is open until 11:59pm PST on 3/18/2018 or until supplies run out; whichever happens first; applicable for purchases made directly after clicking through TopCashback. Only one TopCashback account is permitted per member. bareMinerals’ newest addition to their foundation line, the barePro Performance Wear Liquid Foundation SPF20, is the full coverage foundation of your dreams. A naturally matte foundation that stays right where you apply it for a full 24 hours, barePro cares while it covers, improving the appearance of skin texture over time while blurring pores and imperfections. Forget the caked-on look most often associated with full coverage foundation; barePro provides superior buildable coverage so you look natural and healthy all day long. To look even more photo-ready, apply with the new Luxe Performance Brush that was specially created for this foundation. Designed with dense, tapered fibers that mimic the shape of fingertips for fast, this brush blends liquid foundation easily, even around tough spots like the nose and eyes. Get ready for smooth, flawless, camera-ready coverage with this duo. Shop and save 20% off sitewide during bareMinerals’ Glammies online sale from 9/21-9/27. Be sure to Follow MyStyleSpot on Twitter and Pinterest to stay up to date on all things beauty and makeup!